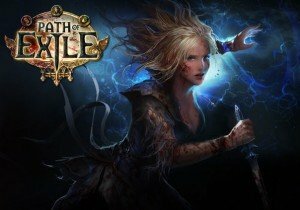 Path of Exile – What’s New? The Awakening, Act IV, and More! The Beast Awakens: Act Four continues Path of Exile’s storyline. The time has finally come to venture into the center of corruption itself and drive a blade through its black heart. Explore Beyond Highgate: For the first time since launch, The Awakening introduces completely new areas, monsters and end-game maps to expand the world of Wraeclast. Defeat Legendary Bosses: Experience climactic boss encounters with characters from Wraeclast’s past such as Voll, Daresso, Kaom and many more. Powerful New Skill Gems: With new classes of skills such as elemental Golems that fight by your side, warcries, and severa new support gems, players are able to create new clever and intricate builds. Socketable Passive Tree: Collect and craft jewels that can be socketed into the Passive Tree to drastically change the tree itself. Masses of New Gear: Find more than 70 new Unique Items and discover an entirely new set of equipment – the Maraketh Weapons. User Experience Improvements: Added more customization options and many community suggested changes. Blade & Soul: Dark Origins Now Live! A rare dragon Mammon, the Greedy Dragon is now revealed in Dragon Atlas, according to the official website. WEBZEN, a global developer and publisher of free-to-play games, has announced the release of Battle Core, MU ONLINE’s latest content update.